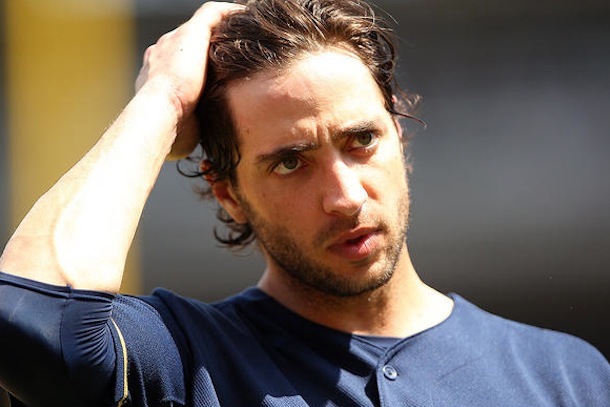 Major League Baseball has suspended Milwaukee Brewers slugger Ryan Braun without pay for the remainder of the 2013 season for his connections to the Biogenesis clinic in Miami run by Anthony Bosch. This amounts to 65 games, 50 of which are for the use of performance enhancing drugs, while the other 15 are for lying to MLB during the grievance process that overturned the suspension handed out to him in 2011. In total, Braun will lose $3.25 million in salary, as well as whatever remained of his reputation. That MLB has suspended one of its biggest stars—the 2011 National League MVP—is a big deal. But what’s more significant is the manner in which it came about. At his first meeting with MLB about the Biogenesis case on June 29, Braun refused to answer any questions. However, sources told ESPN’s Outside the Lines that he subsequently requested a second meeting because he realized the evidence against him was overwhelming and he wanted to make a deal that would limit his suspension to this season. Keep in mind that Braun made MLB look foolish in 2012 when he got his positive drug test overturned on a technicality, and they’ve been gunning for him ever since. The fact that they now have such kind words for this guy can only be the result of a deal. In any case, MLB is going to be suspending even more players in the coming days or weeks, and the players who did not cooperate—such as A-Roid and the Rangers’ Nelson Cruz—are going to get hit hard. It’s pretty hard to watch that and not mumble, “lying douche,” isn’t it?